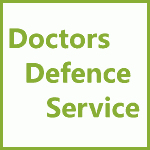 Applying for a Postponement of a MPTS / GMC Hearing | Doctors Defence Service – UK. Attending a GMC/MPTS hearing is stressful for any doctor. Some doctors feel that they cannot face the hearing because of the stress that they are experiencing. Stress in itself will be unlikely to lead to the fitness to practise case being postponed. A doctor who does not attend a hearing risks an adverse outcome that will not be easy to correct on appeal. Panels will generally proceed in the absence of a doctor who does not attend a hearing, who has also failed to provide sufficient evidence that they are unfit to attend and participate. Some doctors facing GMC proceedings obtain medical evidence that is relied upon to show the MPTS tribunal that they are unwell. But even that evidence may be dismissed by the tribunal as being insufficient. A sick note from a doctor’s GP may not be enough if it merely states that the doctor is unwell and will be unwell for 7 days. Where a case is heard in the absence of a doctor, the MPTS panel may well come to adverse conclusions that affect the doctor’s ability to practice. It is not unusual for a fitness to practise tribunal to proceed through each of the stages of a hearing. Doctors may later learn that they have been struck off or suspended, having not had the opportunity to make representations. A doctor who is facing GMC proceedings should ensure that their postponement / adjournment application is well-evidenced. They should write a statement as to why they cannot attend. They should provide supporting evidence as well. If the postponement is being sought on medical grounds, as opposed to the defence case not being ready or there being some abuse of process ground for the application, the doctor will need to obtain good evidence from their GP and possibly from an expert within the clinical speciality. Each case turns on its own facts. Each MPTS tribunal, drawn at random from a pool of trained doctors and lay people, will have differing views as to whether the evidence is sufficient to justify a postponement. In a pluralist society, the supervising appeal courts will not readily interfere with the judgment of a MPTS panel unless the decision to proceed in absence was not justified in all of the circumstances. The threshold test for appeals to be successful is a high one and very few appellants succeed. Medical evidence needs to be sufficiently detailed. Here is some guidance in the case of General Medical Council v Hayat  EWCA Civ 2796 (13 December 2018) which sets out the tests for the tribunals and the courts, when considering whether to proceed in the absence of the doctor. See in particular paragraphs 32 to 43 of that judgment. There are other cases that give further guidance. There is a significant risk that an application for an adjourment / postponement will be unsuccessful. If the application is unsuccessful, the doctor should attend the hearing to present their case. For legal advice and representation, contact us via our Contact Form, or call us on 0800 10 88 739. “36. Can the Appellant demonstrate on this appeal that he had good reason not to attend the hearing (as he would have to do under CPR 39.5)? In my judgment he cannot. The Appellant was evidently able to think about the case on 24 May 2011 (because he went to a doctor and asked for a letter that he could use in the case, plainly to be deployed in the event that an adjournment was not granted): if he could do that then he could come to Court, as his wife did. He has made no application to adduce in evidence that letter (and so has not placed before the court any of the factual material necessary to demonstrate that a medical report could not with reasonable diligence have been obtained before the hearing before the Registrar). But I will consider that additional evidence. In my judgment it falls far short of the medical evidence required to demonstrate that the party is unable to attend a hearing and participate in the trial. Such evidence should identify the medical attendant and give details of his familiarity with the party’s medical condition (detailing all recent consultations), should identify with particularity what the patient’s medical condition is and the features of that condition which (in the medical attendant’s opinion) prevent participation in the trial process, should provide a reasoned prognosis and should give the court some confidence that what is being expressed is an independent opinion after a proper examination. It is being tendered as expert evidence. The court can then consider what weight to attach to that opinion, and what arrangements might be made (short of an adjournment) to accommodate a party’s difficulties. No judge is bound to accept expert evidence: even a proper medical report falls to be considered simply as part of the material as a whole (including the previous conduct of the case). The letter on which the Appellant relies is wholly inadequate. 37. The Appellant complains that the failure to grant the adjournment is a breach of his human rights. The complaint is misconceived. The Appellant’s right to a fair trial means that he must have a reasonable opportunity to put his case. He had that right on 9 February 2011 (but asked the Court to postpone it). He was urged to exercise that right by the trustee’s solicitors on 23rd May 2011: but he and his legal representatives chose not to avail themselves of it.